Maybe you want to learn to dance or getting in touch with a design studio. Perhaps you just want to get your hair done at a nice hairdresser studio or visit a photography studio for some baby photos of your new-born baby. As you see, there are many services, activities and products relating arts and creativity that require of a right place to be taught, carried out or sold. The studio must count with all the equipment needed, like recording studio equipment or the latest beauty products if it is a beauty studio. 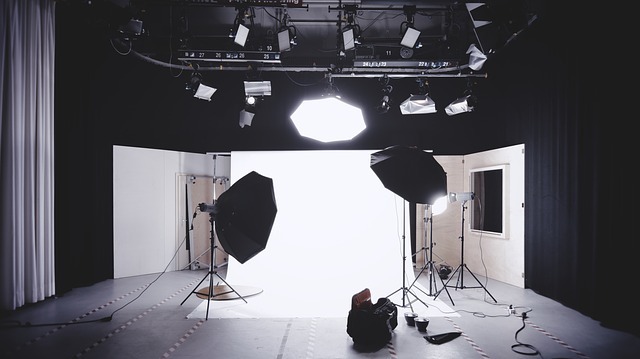 How can you choose the right studio? It will depend on what is what you are looking for, but there are some common characteristics that the best studios in Derby (Derbyshire) share. Think of the activity you want to take up or the job you need to get done. What is what you value the most about it? The professionals running the studio must be experts in the subject, either you want them to teach you or you just need their services. The place has the right space and facilities for the kind of activity that is carried out there. You don’t want anybody stepping on your feet while learning how to dance, right? The materials must be of a good quality and easy to handle. At Infoisinfo, our goal is to be able to provide you with the most useful information possible so that you can easily find the best products and services for you and your company in Derby (Derbyshire). We know how much you value creativity and artworks, as well as all the professional services that are linked to these fields. For this reason, we have prepared a list of the best studios in Derby (Derbyshire) for you to choose from, either you need to record some music or take up art classes, for example. Get in touch thanks to the contact details provided, like phone numbers, websites, address and opening times. In addition, you can have a look at comments and valuations from other clients to get a better idea about the studio. Call our studio or visit www.foreverfilms.co.uk for more information. Choose Forever films for exclusive and stylish wedding videos in Derby, Derbyshire and the East Midlands. Our main categories are beauty and tanning. Tanning Studio Offering the most powerful beds at the cheaoest prices. Studio photography and photography services are the main activities of this company. Complete Photography and Studio Service. Logo design, Printing, Stationery design, Website all for ONLY £495.